Marc Spector, soldier and master martial artist, stumbled upon the Egyptian moon god Khonshu who then gave him super powers. Though you don’t have to remember all that jazz, because nowadays he’s a non-powered rich guy in a gadget-filled costume. Maybe that’s why he gets unfairly labeled as Marvel’s Batman. For one, Spector’s superhero career isn’t born out of an unquenchable quest of vengeance. 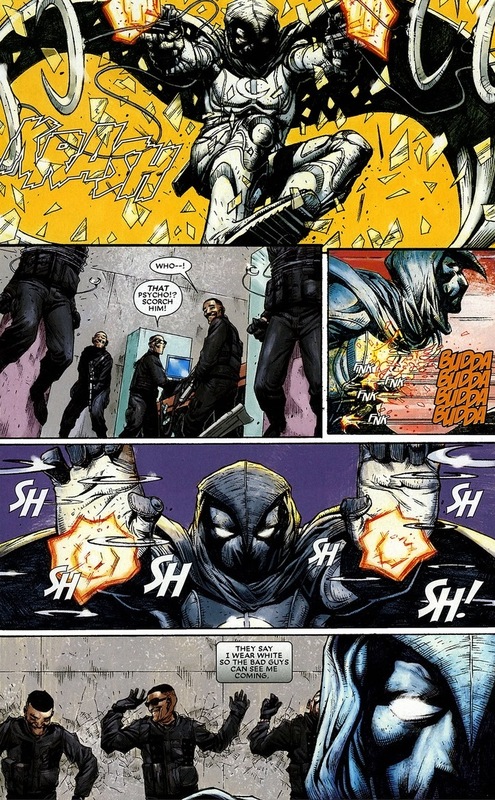 Plus, the guy’s a major schizophrenic, making Moon Knight the poster boy for positive (albeit fictitious) role models succeeding despite mental illness. There you go, except we step into the full throes of Dark Reign, where Norman Osborn reigns over the superhero masses with all the crazy manipulation you expect from the equally-Moon-Knight-levels-of-insanity Green Goblin. 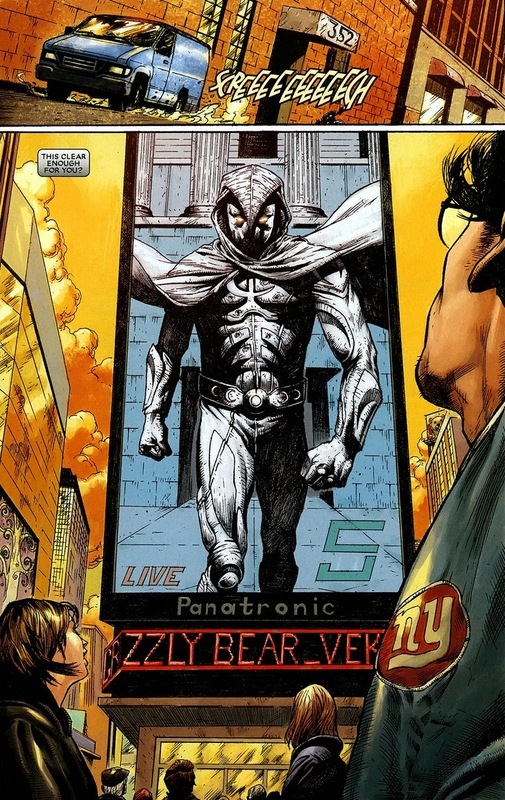 But today’s not going to be a character study — though his self-loathing alone could fill a week’s worth of articles — instead, we’re going to focus on the opening scene from Vengeance of the Moon Knight #1, written by Gregg Hurwitz and drawn by Jerome Opeña. Why? Because it’s awesome. As we start, Moon Knight had been exiled to Mexico by Osborn after being framed for murder (though he did kinda murder, it’s a tricky subject). But we know the border towns can’t keep Moon Knight for long, plus a full-body armored costume must be hell in that Mexican sun. 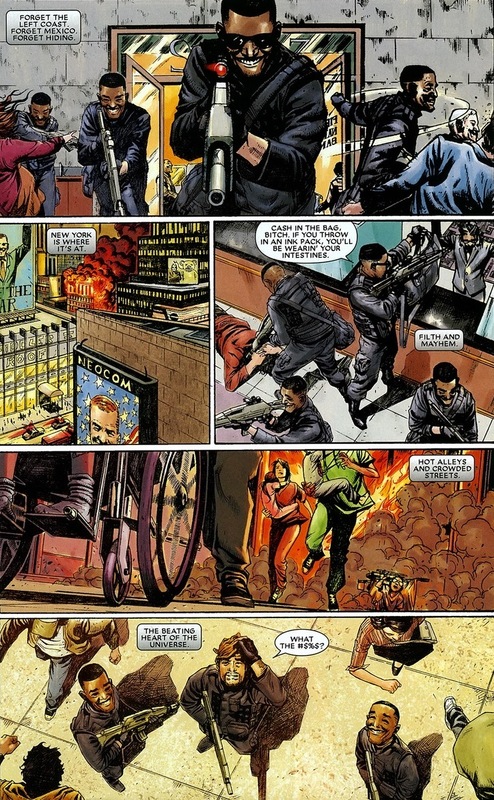 So he returns to New York City, where he can patrol the streets and stop bank robberies. 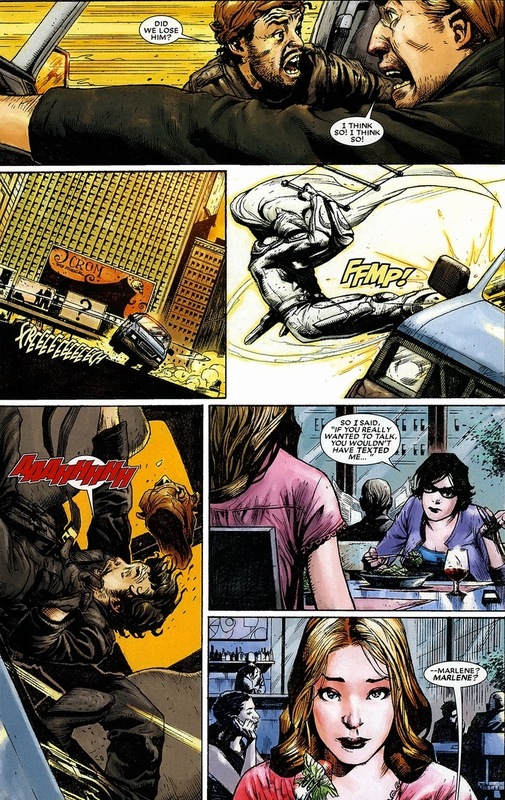 Criminals never seem to learn that crimes rarely succeed in a city with legitimately hundreds of superheroes flying, swinging, and running around. 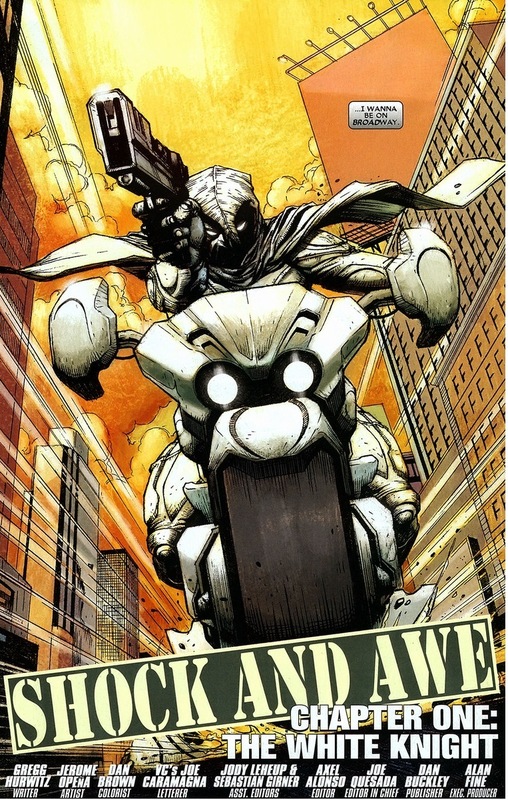 Much like Batman, Moon Knight’s personal fortune allows him to purchase a never-ending supply of soaring mechanical eggs that unfold into motorcycles. Notice the gun? He got ran out of the city because of his murder tools last time. Superheroes don’t mind massive life-ruining property damage or permanent crippling injuries, but killing is still unforgivable. Y’know, because it’s a line that one can’t uncross (but mainly because it takes a few years before that supervillain can come back to life and be used in stories again — and okay, morality and stuff). 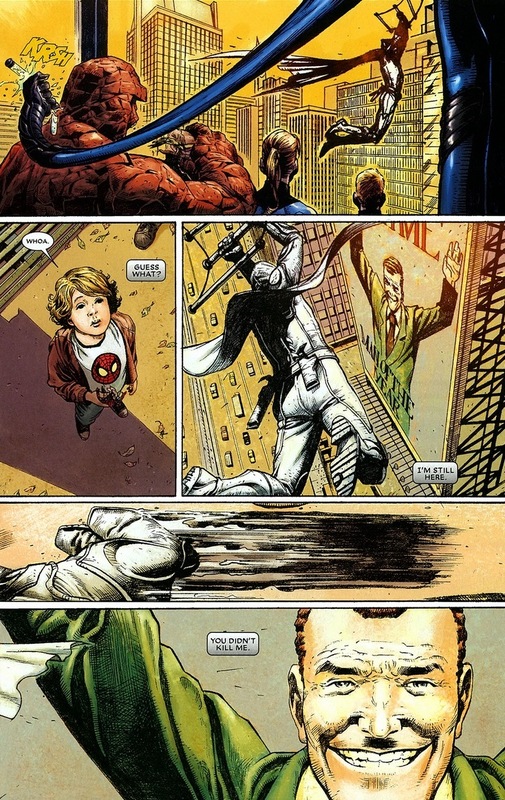 Moon Knight reveals later that his armor’s made of carbonadium — a poor man’s adamantium. It’ll totally block bullets and explosions and probably a knife or two. Also, Spector never really dodges attacks — pain equals redemption and whatnot. 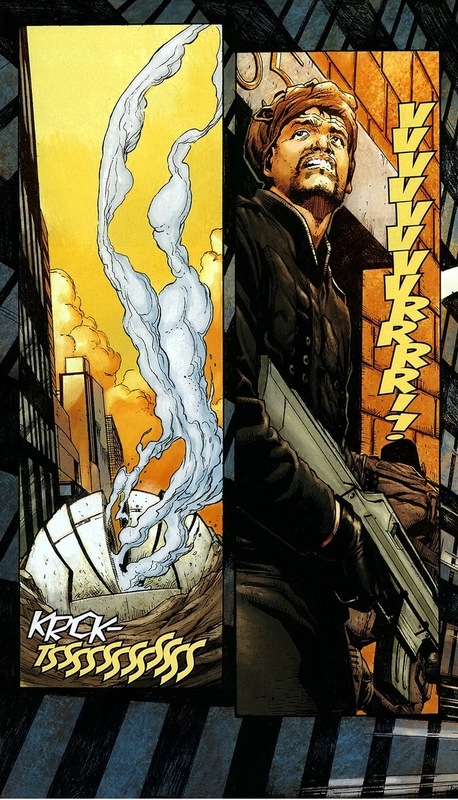 I didn’t actually think of this until now, but walking into bullets makes bad guys far more fearful than wild acrobatics. 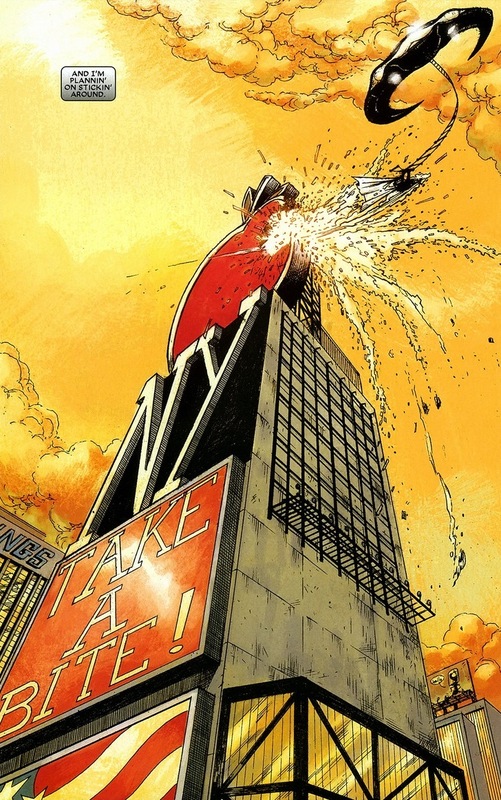 Daredevil can hop over rocket launchers and do triple axle grinding backflips (probably not a real thing) off flagpoles, but criminals treat him like the lottery — he can’t possibly forward spinning leaping somersault over every bullet; they’re bound to win eventually. 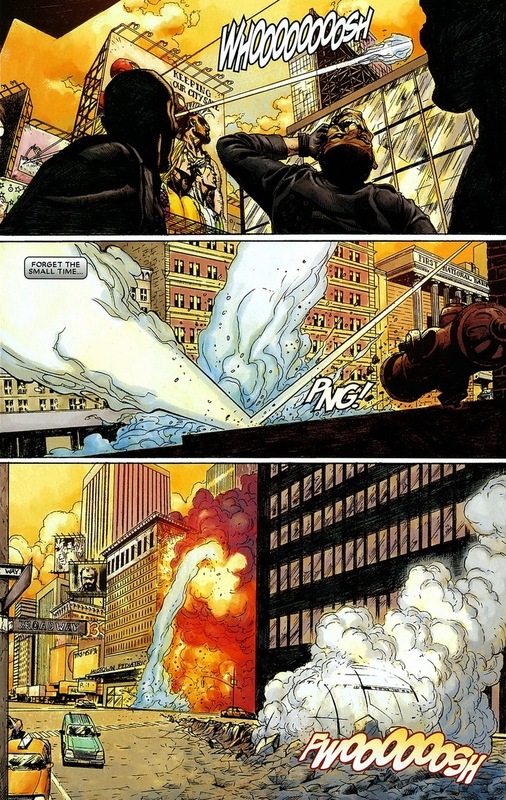 But Moon Knight treats gunshots like they came from Super Soakers and the bad guys wet their pants. 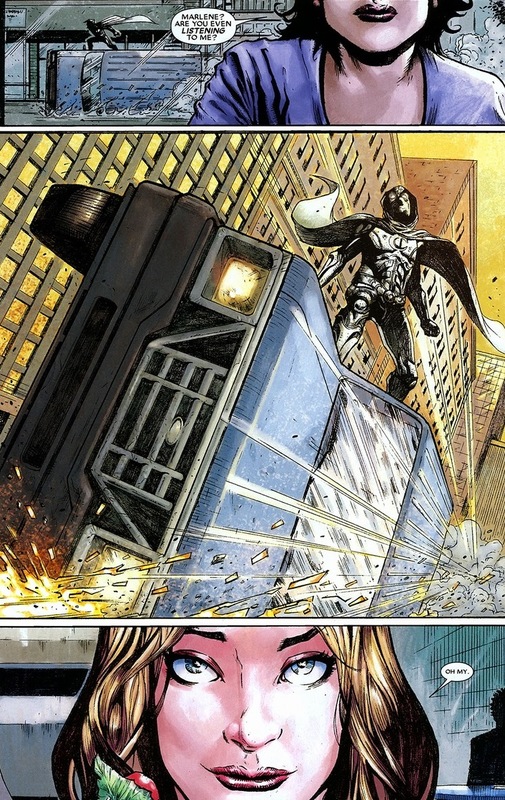 Despite Marline being Moon Knight’s ex-girlfriend, what woman wouldn’t attracted to a caped man riding an overturned van down the road? 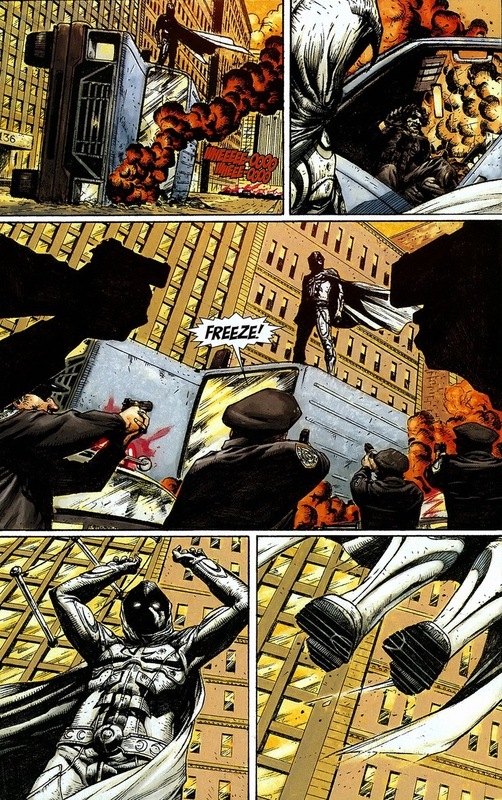 Best part of this scene is Moon Knight’s seemingly nonchalant body language, as if sliding around on vehicles is just his preferred mode of travel in New York City. 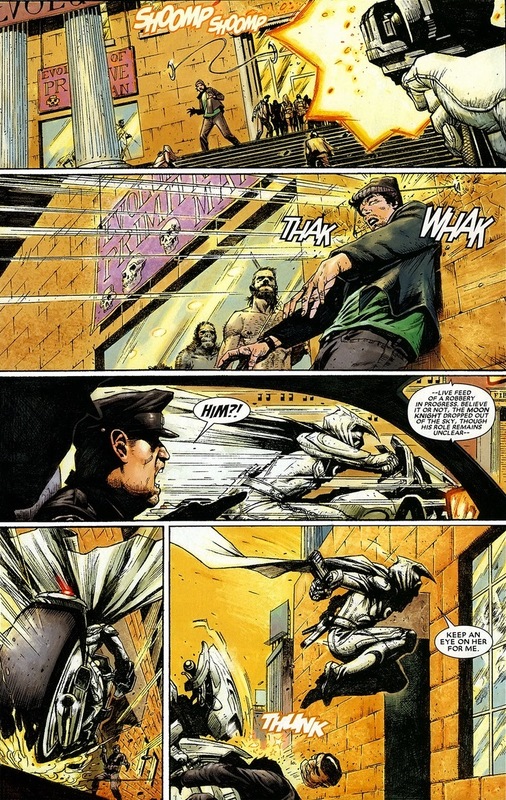 Some people take the subway, Moon Knight surfs on sideways cars. So have you thought about checking this series out? How could you not? Interesting. Never really thought much about the guy to now.